The one thing you can count on in building is that you can’t count on the weather always being perfect. Excavation was hindered by the wet weather and just when we thought we were moving forward and after only getting one slab poured, the heavens opened up! Perhaps we were now building a new town pool! 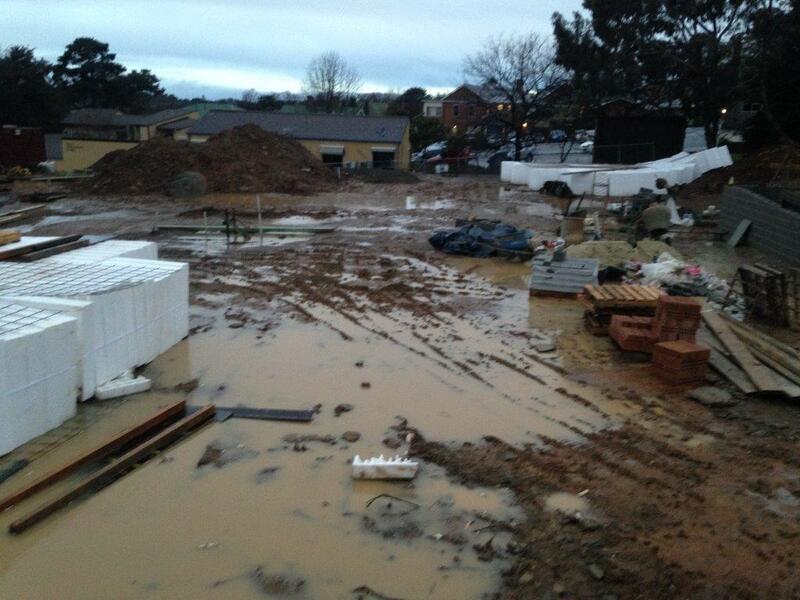 Not to be discouraged, the builders are confident of meeting their completion deadline – so weather gods please behave!